There are super cheap non-stop flights available from Vancouver to Tokyo, Japan on ANA (All Nippon Airways), a very good airline. - Look for the cheaper date combinations that are $627 CAD roundtrip. You can also try searching on Momondo, as a variety of booking sites are showing these in the mid $500s roundtrip. Update @ 12:30 PM PST - Well the 2017 dates didn't last very long! It looks like ANA has already put their fares back up for 2017 dates. 2016 dates seem to all be $60 higher now, at $605 CAD roundtrip. 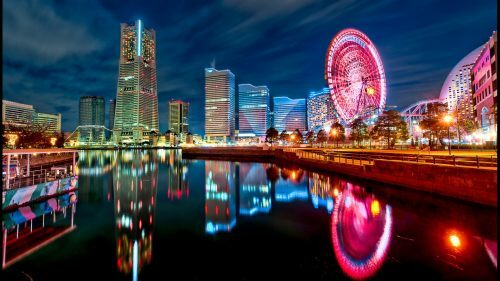 7 Responses to "Vancouver to Tokyo, Japan - $545 CAD roundtrip including taxes | non-stop flights, wide availability"
I am also having a very hard time finding this deal although following all of the given instructions. It looks like ANA has already put their fares back up to normal for 2017 dates. 2016 dates seem to all be around $50 higher now, at $598 CAD roundtrip. Thanks so much. I booked for mid-Nov, non-stop, return, taxes in and preselected aisle seats for $614. Crazy! Hi, are all the deals gone? I'm trying to look right now for the October 2016 and all the deals are around $900. December 20 to January 9 is a date range where flight deals go to die. It's very rare to see a great deal (to anywhere) in this date range.